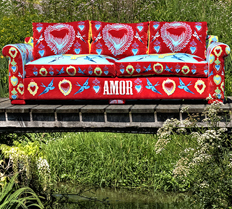 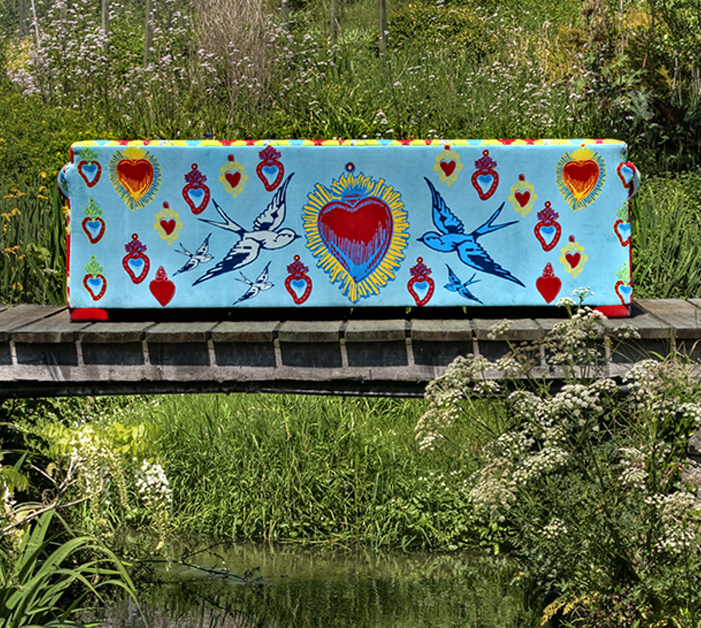 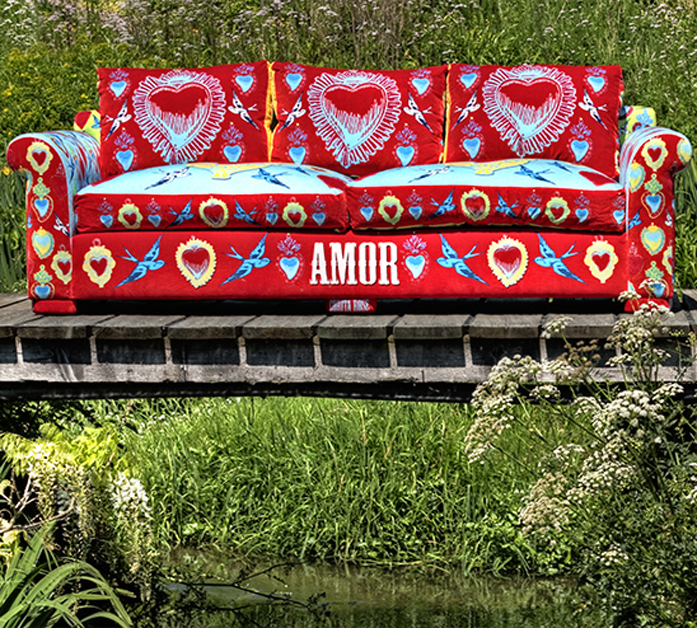 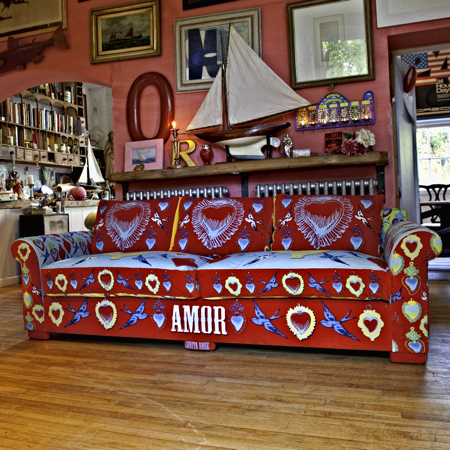 The Amor sofa is a contemporary hand made sofa. 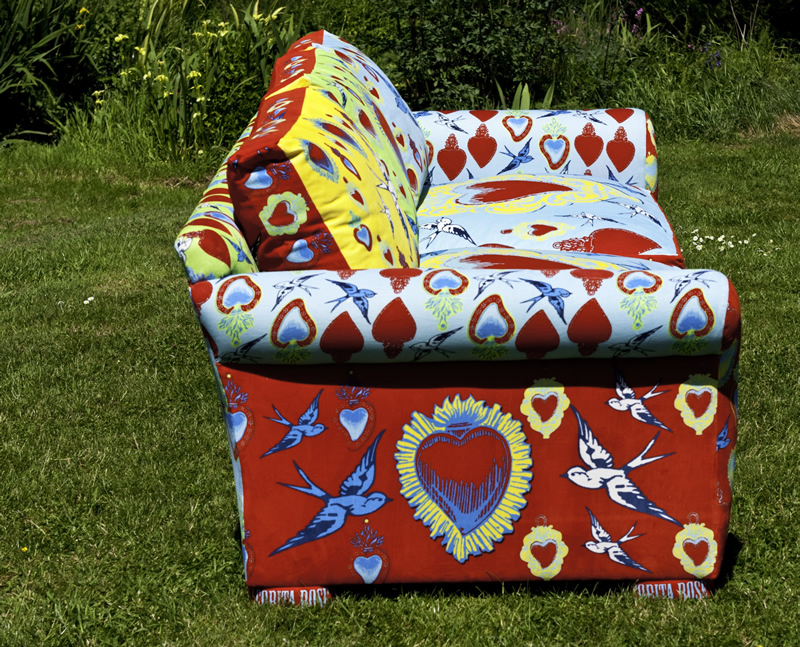 Seventeen individually designed and printed panels of Corita Rose cotton velvet have been fused together to create this truly individual piece. The many reversible sections allow the mood and colour of the sofa to be changed. 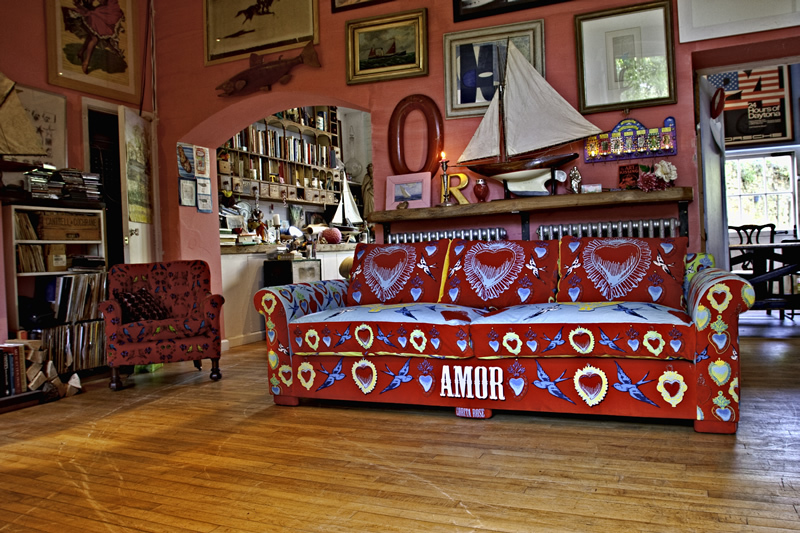 Construction : Solid beech frame, screwed, glued and dowelled, hand tied coil springs. 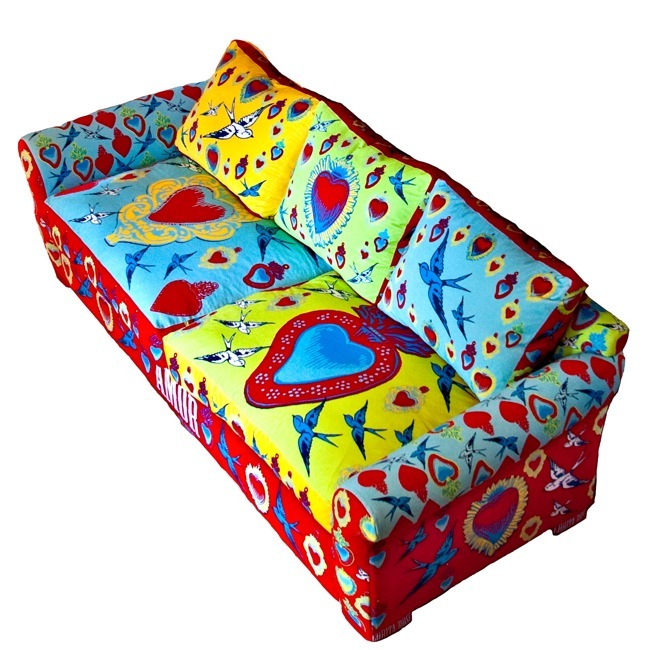 The base cushions have a foam feather wrap, with down and feather filled back cushions creating a luxuriously comfortable sofa. 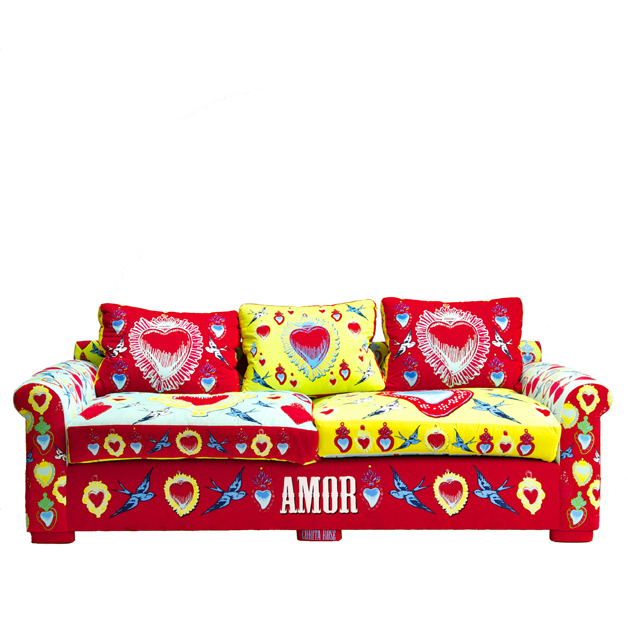 The Amor Sofa is a made to order item with 14 weeks from order to delivery.